Discover the true Cape Cod vacation adventure from the Beachside Village Resort vantage point with extraordinary views of Martha's Vineyard across Falmouth Harbor. 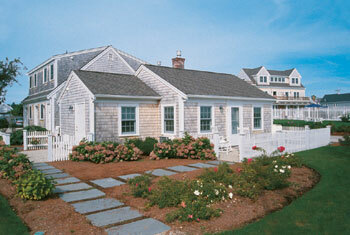 Located across from the popular Surf Drive Beach, Beachside Village Resort is built in true Cape Cod style. All studio, one- and two-bedroom accommodations are outfitted with comfortable furnishings. Onsite, there is a large, heated swimming pool open during warm weather, a playground and outdoor barbecue grills and picnic tables. The beach is just a few short steps away. At Beachside Village, you get the homey comfort of an East coast bed and breakfast with the amenities and privacy of a resort. All units have air conditioning, DVD players, refrigerators, microwaves, coffee makers and Wi-Fi. Treat yourself to "fresh-catch" clams, lobster and other New England favorites offered throughout the area and savor the memories from your fully equipped oceanfront accommodations. Spend your days relaxing on the soft sand and exploring the surrounding seaside village shops or bike along beach and village paths to Woods Hole and stop in the Woods Hole Oceanographic Institution for an ocean science adventure. Venture down the pleasant "Shining Sea Bike Path" to waterfront dining and strolling through the unique shops, galleries, museums, educational institutions and beautiful gardens with scenic vistas. Charter a deep-sea fishing trip or hop the ferry for a brief, leisurely voyage to Martha's Vineyard or Nantucket. From the resort's convenient location, it's an easy drive to experience all of Cape Cod, historic Boston, or take a pilgrimage to Plymouth and visit a 17th century home in the oldest established town in the Commonwealth. 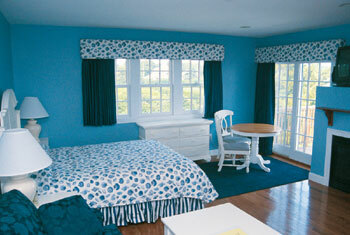 Discover the magic of old Cape Cod and relax in comfort at Beachside Village Resort. PLEASE WAIT, YOUR RESULTS ARE PROCESSING.